Joule is a unit of measuring the amount of heat used in the international system of units (SI - Systeme International d'unites). It is often used in physics and in heat has more common non-si unit called "calorie". The parallel existence of these units from time to time is the need of converting values from one to the other. Keep in mind that at the present time there are two definitions of calories, one of which is called a "thermochemical calorie" and "calorie international". For the conversion of joules into calories thermochemical to use the ratio in which 1 Joule is approximately equal to 0.239005736 calories. When converted into calories international the ratio should be changed to the value 0.238845897. Use the standard Windows calculator for the practical conversion of one unit to another. The link to the run is placed in the main menu of the OS - click "start" button (or press the Windows key), go to "All programs", and from there to the subsection "Standard". The desired item in this section is called "Calculator". Instead of the travel menu for this purpose you can use the run dialog programs hit the key combination WIN + R, type calc and press Enter. Expand the "View" menu in calculator, select "conversion". Its interface is added to the left panel with a dropdown list of measurement units. Select from the list under "Category" the string "Energy". In the list of "Initial value" set the "Joule". In the list of "Ultimate value", click the "kilocalorie". Enter the value of the original value in joules, and then click "Translate". The calculator will count the given number in international nutrition. To translate the number of calories, multiply the result by a thousand. 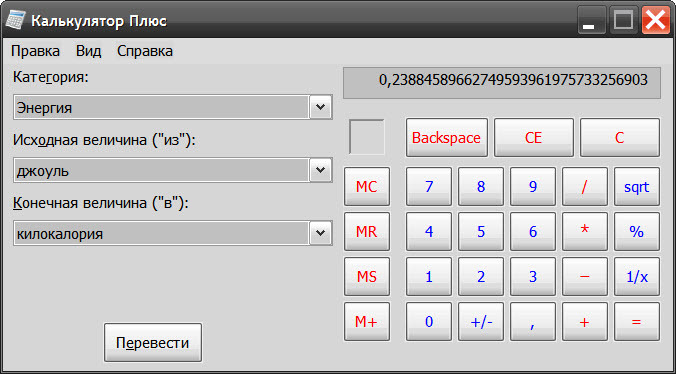 Use online calculators if for some reason you do not want to use the system. These services are very much in the network, even search engine Google now has a built-in currency Converter. 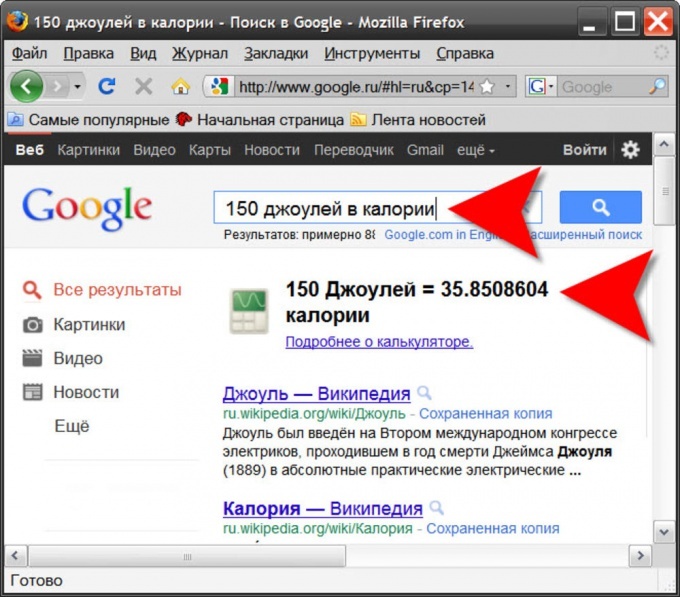 In this search, it is sufficient to formulate a request to compute directly in the input field of the search query and the result will be shown immediately, without pressing any buttons. Google uses for the conversion factor for thermochemical calories.